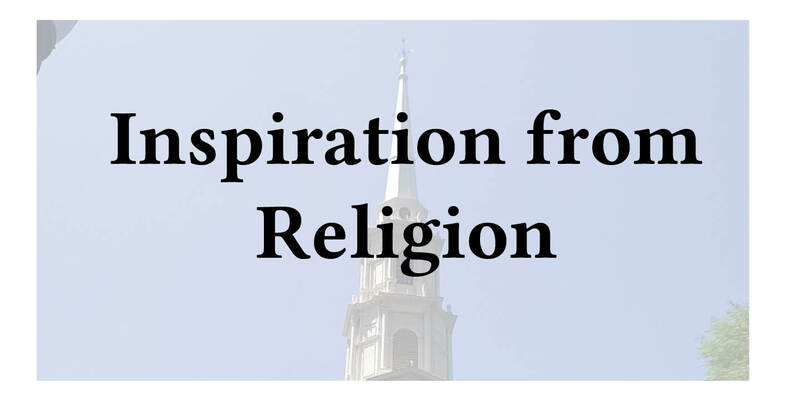 Can religion inspire even nonreligious writing? Oh religion. It is one of those topics which nearly everyone tells you not to talk about. However, it can be a great source of inspiration for writing. First of all, I am not suggesting anyone run out and convert. If you do not believe in God, then that doesn’t bother me in the slightest. Faith can still provide inspiration. You can observe it in others. Or you might want to document people’s reactions to your declarations of atheism or agnosticism. Since the percentage of agnostics and atheists is still fairly low (at least that’s the case in America), minority status by itself can be an inspiration. Perhaps you can write about living within a more spiritual majority. Another idea is to write about discrimination you may have faced. Personally, I am Jewish. However, that doesn’t matter to my point. I can write about rituals. Or about what happens when rituals are absent. Furthermore, I can write about discrimination. Since I am in a minority, that is also on the table. Because religious clashes are a fact of life, that’s also writing fodder. By changing subtle details or leaving some out, I can come up with a whole new story line. Almost all of us know someone of some other faith (or lack thereof). Have you ever discussed the differences? And did the discussion stay civil? Or did it fall into a shouting match? Because that is all too common. Because the Old and New Testaments, the Koran, the teachings of Buddha, etc. are all in the public domain, how about mining them for writing ideas? This has been done before. In fact, the biblical story of Noah and the flood is pretty much the same as the epic of Gilgamesh. Hence you’d be in pretty good company. Faith is an extremely personal experience. For many people, these stories are the word of God. However, a flood story is not necessarily blasphemous. And you don’t have to believe a thing in order to use the drama as a template for your own works.